Many Happy Returns to the Washington Monument! This post was originally meant to be published on October 9, 2013, but due to the federal government shutdown was delayed until now. 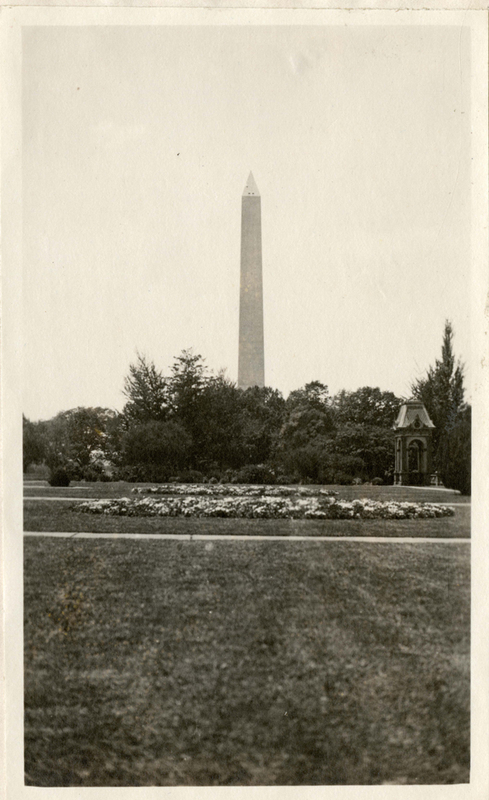 Washington Monument, c. 1920-1924, by Martin A. Gruber. Record Unit 7355 - Martin A. Gruber Photograph Collection, 1919-1924, Smithsonian Institution Archives. Neg. no. SIA2010-2045. Washington Monument, by Underwood & Underwood. 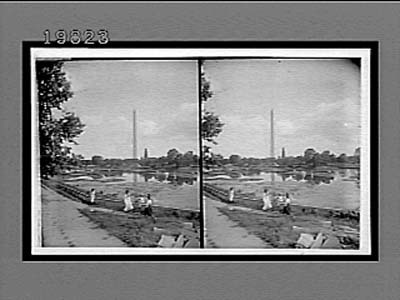 Underwood & Underwood Glass Stereograph Collection, 1895-1921, Archives Center, National Museum of American History. William J. Clinton Presidential Inauguration with Washington Monument in the distance, 1993, by Carl C. Hansen. Smithsonian Institution Archives. Neg. no. 2003-0088. 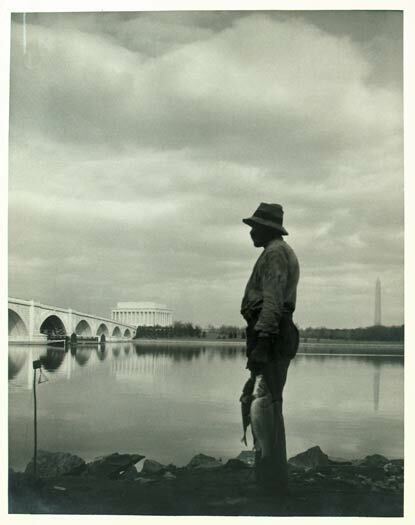 View of Lincoln Memorial and Washington Monument across Potomac River, undated. Record Unit 7177 - George P. Merrill Collection, circa 1800-1930 and undated. Smithsonian Institution Archives. 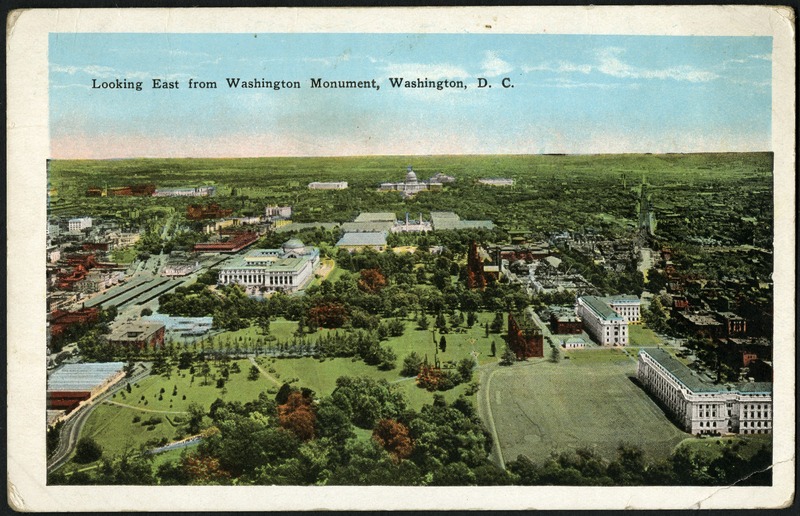 Postcard: Looking East from Washington Monument, c. 1915-1930, Garrison Toy & Novelty Company. Record Unit 95 - Photographic Collection, 1850s- ,Smithsonian Institution Archives. Neg. no. SIA2013-06683. 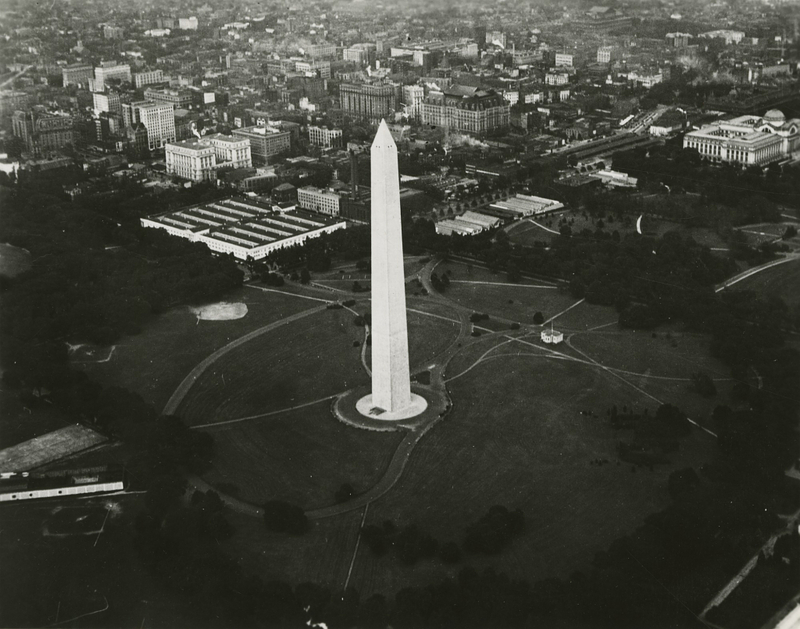 Aerial View of Washington Monument Showing Temporary World War II Federal Buildings Prior to Museum of History and Technology Construction, c. 1958. Record Unit 285 - National Museum of History and Technology, Office of the Director, Photographs, 1920s-1970s, Smithsonian Institution Archives. Neg. no. SIA2010-2497. 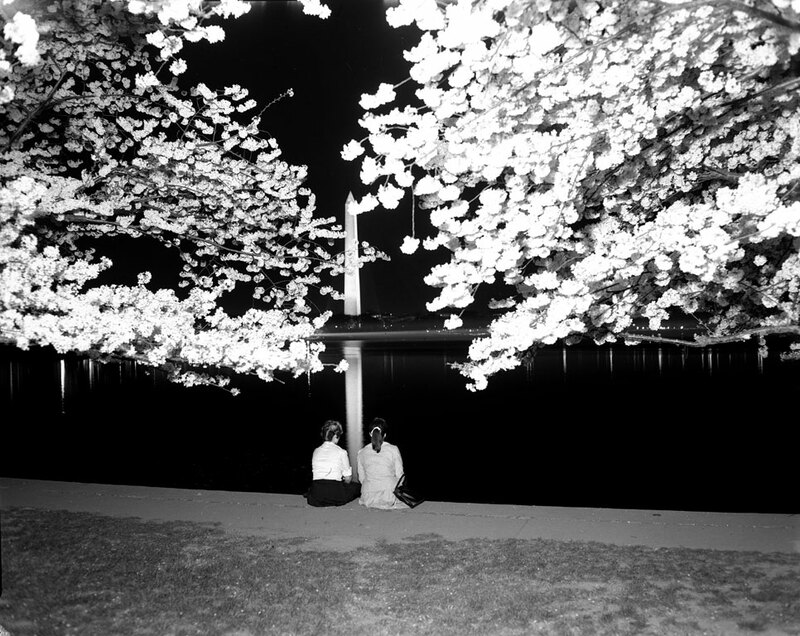 Two girls view the cherry blossoms at night from the Tidal Basin, undated, Scurlock Studio. Scurlock Studio Records, c. 1905-1994, Archives Center, National Museum of American History. Neg. no. 2008-4935. 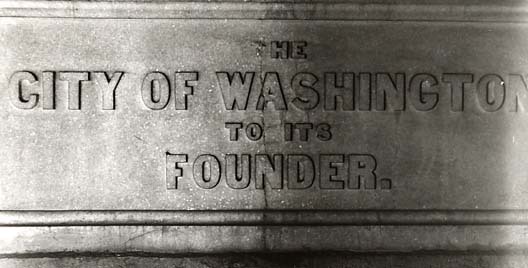 Washington Monument Commemorative Stone: City of Washington, D.C., 1850. In Judith M. Jacob's "The Washington Monument: A Technical History and Catalog of the Commemorative Stones," National Park Service, 2005. Inventories of American Painting and Sculpture, Smithsonian American Art Museum. 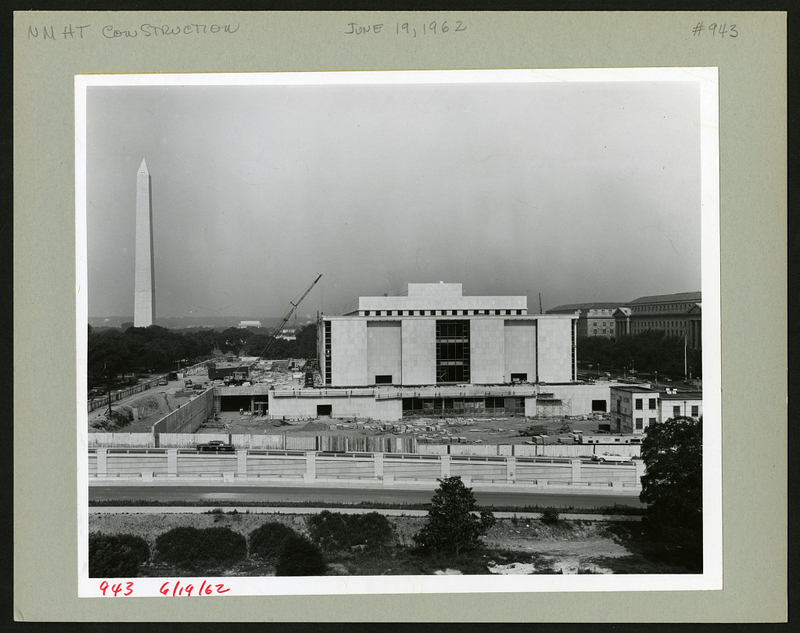 Construction of the Museum of History and Technology with Washington Monument in the background, 1962. Record Unit 285 - National Museum of History and Technology, Office of the Director, Photographs, 1920s-1970s, Smithsonian Institution Archives. Neg. no. SIA2010-2845. 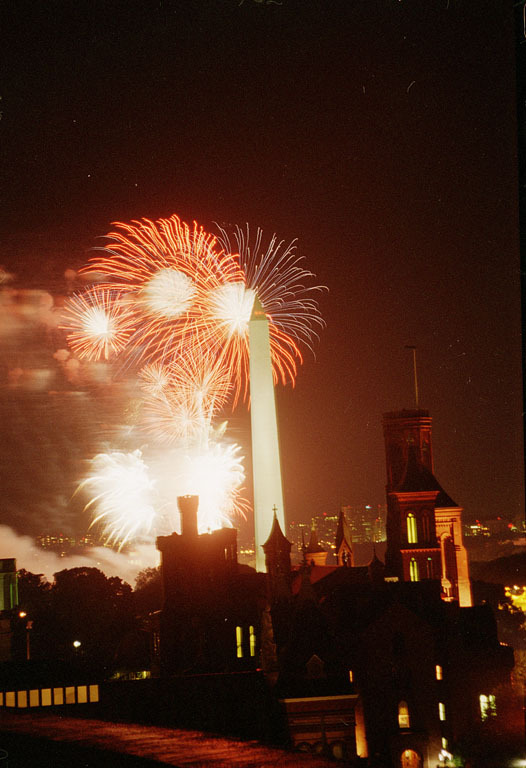 Fireworks going off behind the Washington Monument on the night of August 10, 1996 for the Smithsonian's 150th Anniversary, by M. Bryant. Accession 97-074 - Office of the Secretary, 150th Anniversary Program Records, 1992-1997, Smithsonian Institution Archives, neg. no. 96-25380-35. National Carp Ponds with Delivery Cart and construction of the Washington Monument in the background, 1880s, Photo Engraving Co. of New York. Record Unit 7184 - United States Bureau of Fisheries, Records, c. 1877-1948, Smithsonian Institution Archives, Neg. no. 95-1181. 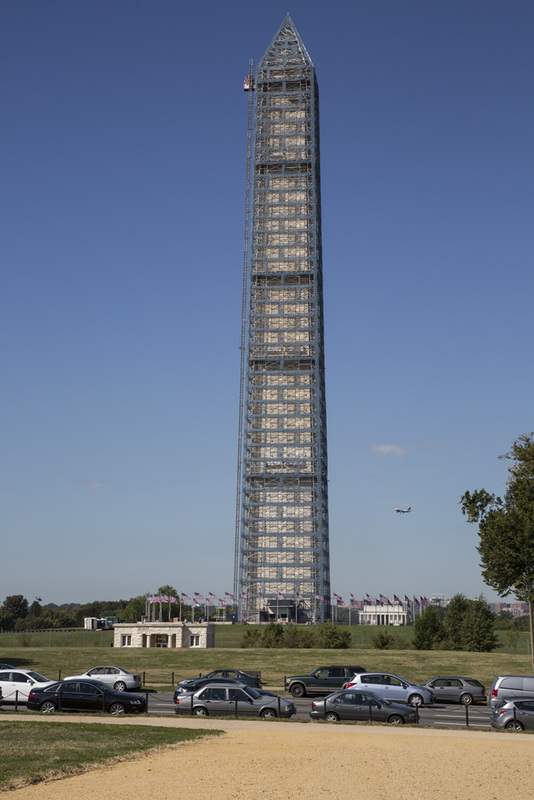 The Washington Monument in 2013 surrounded by scaffolding. Repairs continue after damage from a 2011 earthquake. By Michael Barnes. Just like the Capitol Building and the White House, the Washington Monument is instantly recognizable thanks to countless images both from the ground and air. Viewers are familiar with TV shows and films that feature a shot of the monument that reveals the location as Washington, D.C. 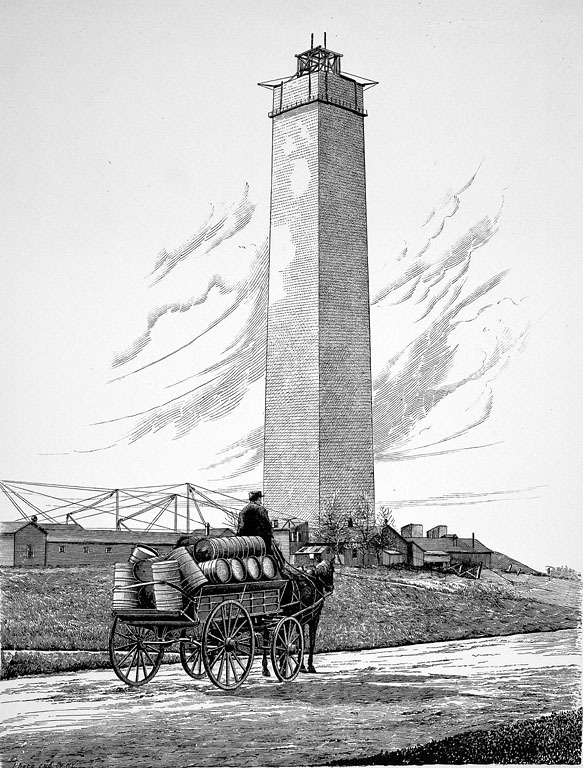 The 555-foot tall structure that honors George Washington's leadership during the American Revolution marks its 125th anniversary today as it officially opened in 1888. 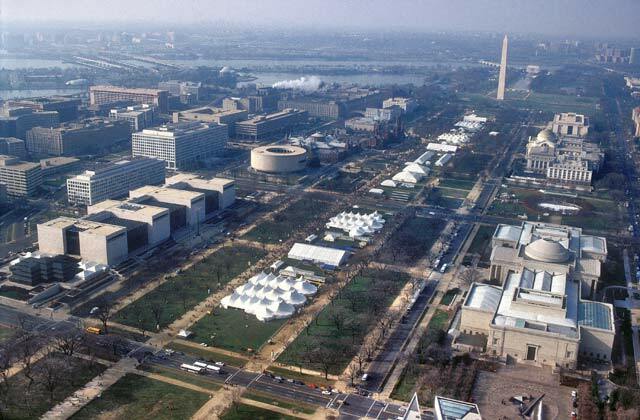 Resolved, That the Regents of the Smithsonian Institution do select and adopt, as the site for their buildings, so much of the Mall, in the city of Washington, as lies between Seventh street and the river Potomac, subject to the power of Congress to grant any portion of the same west of Fourteenth street to the Washington Monument Society, for the purpose of erecting a monument thereon, if the consent of the persons named in the fourth section of the act to establish the Smithsonian Institution for the increase and diffusion of knowledge among men be obtained thereto; and that, upon such consent being obtained in due form, the Secretary is hereby instructed to cause the said ground so selected to be set out by proper metes and bounds. The monument was dedicated February 21, 1885, and the iron staircase inside was publicly accessible in 1886, according to the National Park Service. The monument though was closed to the public for most of 1887 because of vandalism by visitors. The Los Angeles Times reported in May 1887 that marble was chipped throughout the monument and bronze letters on a memorial stone were missing, in addition to scratches and names being etched onto the stones. These stones embedded in the walls were from individuals, societies, states, and nations. The 1888 opening we celebrate today was the start of the public elevator service. The Washington Post reported that 32 people made that inaugural trip on October 9 after a few test runs by the crew. The elevator made it all the way up without any problems, but the reporter pointed out that a worker had climbed up some steps within the monument, got on top of the elevator, and actually rode on it to monitor the cables on the trip up. The article reported the view was amazing but the air was cold. The monument now is covered in scaffolding and is closed while repairs are being done because of damage sustained during an August 23, 2011 5.8 magnitude earthquake in Mineral, Virginia. This event though was not unprecedented because in 1884 workers on top of the monument felt the effects of an earthquake in Ohio. No damage was reported then. Restoration work also was done from 1996-2000. The monument is expected to reopen in 2014.